(Honesdale, March 1, 2017) Honesdale Roots & Rhythm Music & Arts Festival, the region’s premier free music and arts event, is proud to announce that this year’s featured visual artist is Ellen Silberlicht. A no-charge workshop hosted by Ellen will take place on Tuesday, June 13th at The Cooperage, 1030 Main Street, Honesdale, at 7pm. Ellen, who creates both sophisticated and whimsical pieces in clay and felted fiber, will demonstrate the science of making clay whistles. She hopes some attendees will volunteer to make them with her! 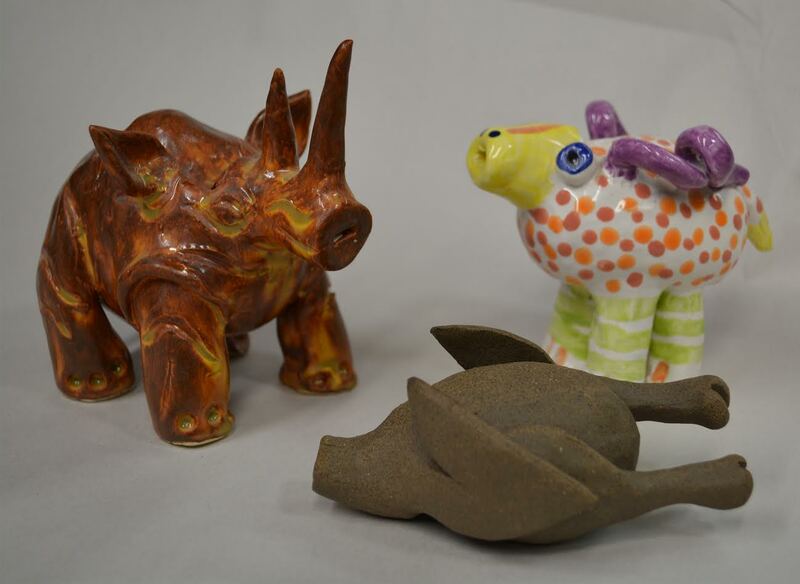 After receiving her Bachelor’s in Fine Art from The Rochester Institute of Technology, Ellen went on to acquire a Masters in Ceramic Arts and Art Certification from Marywood University. She shared her love and knowledge of pottery and art in general with her students in the Wayne Highlands School District for 15 years. Though retired now from teaching, Ellen continues to produce art and display her work in galleries around the country, including, most recently, her show “Fiber on Fire” at the Delaware Arts Center’s Alliance Gallery in Narrowsburg. You may visit Ellen’s website to view her current work at www.ellensilberlicht.com. Everyone is invited to the workshop, which will also offer refreshments from Camp Umpy’s in Honesdale. Honesdale Roots & Rhythm, launched in 2006, is a family-friendly event with music, arts, games and “surprises” such as last year’s flash mob. The event is produced by an all-volunteer staff and supported by donations and sponsors. If you would like to join the volunteer team, email Ryan at ryan.festivaltown@gmail.com.